Should You Save for Retirement or Build Up Savings? And What About Debt? What does building up an emergency fund, paying off debt, and saving for retirement all have in common? They all need to be done, and sooner rather than later. The problem is that for many people, all three of these issues are competing for the same resources. Your money only goes so far, so you need to prioritize. So, how do you decide where to focus your efforts? There is a lot of advice out there and no simple answer. Some people suggest that you need to tackle that debt above all else. Savings and retirement be damned, but you need to pay off those credit cards. Others say you should really focus on building up an emergency fund first and foremost and tackle debt and/or retirement later once your emergency savings has been established. Everybody seems to have their own philosophy and can make good arguments for each. Depending on the advice you take, you’re probably going to be focusing most, if not all of your efforts on one particular area. Before you settle into a plan of attack, make sure you know the benefits and drawbacks of using this approach. The good thing about focusing your efforts entirely on one area is you’ll see the greatest improvement in the shortest amount of time for that particular goal. If it’s paying down debt, obviously the faster you pay it down, the less interest you pay, and the sooner it’s paid off. The same thing goes for building an emergency fund or investing for retirement. The sooner you can put that money into action, the faster it can get to work. With the obvious benefit, there are clearly some drawbacks. By focusing your efforts on one area, you’re subsequently neglecting other areas. If you’re putting all of your money into debt reduction, your emergency fund and retirement accounts will suffer. And what happens if you’re aggressively paying down debt but have an unexpected emergency? If you don’t have much of an emergency fund, it could in turn simply mean you’re going to rack up more debt. Or if you’re putting all of your efforts into building up that emergency fund because you’ve been told that is most important, it could backfire when your seemingly good credit card suddenly changes their terms and lower your limit or raise your interest rate. If you’re like most people, you have to think about how you can work towards each of these goals at the same time. In tough economic times like these, the emergency fund is very important since a job loss could be right around the corner. Although, if you have debt to pay off it is obviously wise to knock that out — especially since many companies are changing terms and credit is harder to come by. And then you have to consider investing for retirement. Stocks have come off their recession lows and have been on a run that puts their returns above historical averages. It isn’t easy when you’re faced with so many choices and limited resources. So, you have to prioritize. Your priorities will be unique, so the general advice you hear telling you what to do isn’t always going to be the best option for you. So, take a look at your situation and see which areas are most important. For example, if you have virtually nothing in the bank in terms of savings, your emergency fund is probably going to be pretty high on the priority list. But if you have a month or two worth of expenses in the bank, even though it may not be up to your target level yet it could be less important depending on your debt and retirement situation. And don’t forget about interest rates and the type of debt you have. The type of debt you have along with the rate you’re paying can play a big role in determining how to prioritize those payments. Lastly, think about time frame. If you could eliminate your debt in just a few months by putting all your resources towards it, that’s one thing. But if it would take a few years, you have to weigh the opportunity cost, which is much greater in that situation. When investing, you typically diversify. You will use index or mutual funds to diversify across stocks, maybe invest in some bonds or real estate, and so on. You do this because you’re trying to minimize risk. Without a crystal ball or relying on luck that’s about the best approach you can take. Well, deciding how to allocate your funds towards these different goals is no different. Without a crystal ball you don’t know what the stock market is going to do, or whether or not you’ll need to tap into your emergency fund, so you’ll want to diversify this money as well. What happens if you neglect saving for retirement while you focus on your emergency fund or debt for 2 years when history shows us this was one of the best investment opportunities in decades? What if you aggressively invested for retirement only to lose more money while you’re still left with nagging debt and little or no savings? If you wouldn’t bet your entire portfolio on one stock, you probably shouldn’t bet your financial future on just one goal. Go back to your priorities and use this as a basis for how to allocate your funds. Obviously, direct the bulk of the money towards the most important goal, but make sure you’re still putting something towards the other goals. Maybe this means you’ll only be saving $20 each week into your emergency fund for a while, or your retirement plan contributions are just 3% of your income, but make sure you’re doing something. Focusing your efforts on multiple goals at a time does a couple of things. First, it puts in place a habit. Disregard the amounts for a moment and just consider the act of putting money towards all three of these goals. The idea here is to get into the habit of automating these processes so you end up not having to even think about it. So what if you’re retirement account is only growing by $50/month while you tackle more pressing issues, at least you’re doing something and it requires no additional effort on your part. It is much easier to slightly change something that’s already in place rather than start up from scratch down the road. The second reason is that you’re hedging your bets. Without knowing exactly what the future holds, you just have to make sure you have all your bases covered. Hindsight is always 20/20. If you invested all your spare money into an emergency fund for 2 years while never needing it only to see the stock market take off and leave you in the dust, you might look back and think that was stupid. Or if you spend every penny trying to pay off some debt only to find yourself in an emergency without a dollar in the bank, you’re going to look back and think it wasn’t a good idea. If you take some of the guesswork out of it and prioritize while still doing something to further your other goals, you won’t find yourself in as dire of a situation or be kicking yourself down the road because of a lost opportunity. Take a few minutes and look at your situation. See how you’re doing relative to your priorities. Keep in mind that priorities change, and while your plan may have been the ideal plan of attack a year ago, things may have changed to place importance on something else. And don’t forget about some of the benefits that may have changed over the past year or two. Maybe your job now does have a 401(k) match, or maybe your company eliminated it. Or perhaps your credit card company increased the interest rate. And let’s not forget the pitiful interest rates on savings accounts in the past year. All of these things can impact how you should allocate your money today. My EF right now is my vacation fund, and for me, that is important because I love traveling. It's tough but hopefully can put away a little for retirement without it affecting my lifestyle. It's difficult when all the choices are good, but which one is best for you? I'm fighting this myself , with student loans, emergency fund, and house down payment, and retirement all competing of my money! Why not do both but I'm school thinking feel one a little debt as one can.You have little one has better control in choice of life style to live.Also may mean not not spending as as much or going out often. Thank you for the comment, DR. I love hearing stories from readers who have gone on to improve their finances. Keep it up! I whole-heartedly agree with the strategies Jeremy shared in this article. Before reading this article, I paid the majority of my cc debt down within a year. All my efforts went towards paying down credit cards. Needless to say, I had little to nothing in savings, and when I needed things like gas and food, I would put it back on credit cards! In hindsight, I didn't have peace of mind with putting all my resources towards paying credit card debt because I was cash poor! For the last few months, I've been doing what Jeremy and SUZE ORMAN suggested...diversifying my attack. My retirement savings comes out of my paycheck automatically, then I've been putting the majority of my money towards building an emergency fund, and then I pay extra towards accelerating the payment of a credit card and when that card is paid off, I will roll those payments into the next one. Diversifying my money just makes the most sense for my situation because it provides me with peace of mind. Thanks for the tips and insight, Jeremey! Good Information in this article. I personally have chosen to solely concentrate on debt elimination. Every month my financial needs decrease, this is one of the best ways to be able to survive things like a job loss. I will be able to build a emergency fund very fast once I gotten rid of all my debt. 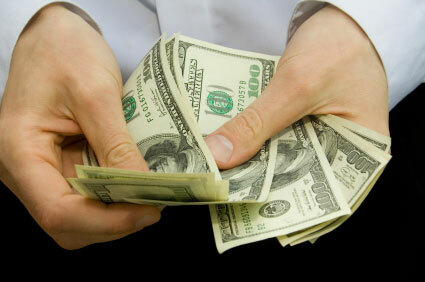 You simply loost too much money in interest not to pay it off as fast as humanly possible. Honestly, if you're in your 20's retirement shouldn't be the greatest priority. Yes, you can put some $ towards retirement but you've probably got a lot of other concerns: student loans, car payments, rent w/ a low-paying job, buying a house in (maybe) ten years, having a kid. Something that's going to happen in 50 years is important, no doubt, but trad. investing/emergency fund/debt payment seems a bit more pressing. If you can do some combo of #1 and #2 at the same time, prima! @Beth I know I should start to set up an IRA account and begin to contribute, hopefully I could get to $1000 for the year, it's very little, but could help. Experiences are worth investing in if you can. I am young and already have done quite a lot of traveling, and it's like a drug to me. Already planning my next adventure, because I feel since I am young and have no financial responsibilities other than to myself, this is the best time to get some trips out of the way before life gets in the way. Craig, even if you put a little towards retirement (like a $1000 a year), that's going to have a big pay off in the long run. When it comes to retirement, even a little makes a huge difference because of the length of time it will have to earn interest. I've always been the opposite -- couldn't afford travel because I've been saving for retirement. I've realized it's time to start investing in experiences too -- but finding the money for it is so hard! I am young and this is something I am going through to a degree. I luckily have no debt, but also don't make enough to really put away for retirement or for an EF. My EF right now is my vacation fund, and for me, that is important because I love traveling. It's tough but hopefully can put away a little for retirement without it affecting my lifestyle. I think Billy was just referring to the case where someone has a high credit card debt. That's the worst kind of debit and should be dealt with swiftly. I agree that in other cases, relying on a credit card isn't the right course of action. I suppose it's okay for one-off emergencies like a sudden expensive car repair, but if you lose your job you don't know how long it will take you to find another. You'd just be racking up a big expensive debt. I had to drawn on my emergency fund last year, so I was glad it was there. I didn't have to borrow money from family, or rack up a large credit card debt that I didn't know when I could pay off. It really provided piece of mind. I disagree with billy, whole-heartedly! You definitely need an emergency fund. What happens if you lose your job? Your credit cards are maxed and you have nothing for an emergency. Sure, you could take your 401(k), but then you're taxed and penalized and left at square one when you find another job. That sets you back significantly in terms of retirement. Ideally you want - bare minimum - three months expenses saved up. So, contribute to your retirement accounts, contribute to an emergency fund, and then pay debt. Yes, getting rid of the debt is important, but if you're out of a job, you're not paying on anything without an emergency fund. The 'it can't happen to me' attitude was pretty rampant on Wall Street, too. Look what happened there. Good thoughts Jeremy! I've been wrestling with this lately. On one hand, being self-employed, I want to give my emergency fund an extra cushion right now. But on the other hand, I've always been taught to "buy low, sell high" and the market is pretty low right now so maybe I should invest more. Plus we're moving into a new house next week, so that is pulling at my finances. So little money, so many choices! I've also has this on my mind recently too! It's nice to know what I'm doing makes sense. I don't have credit card debt (and don't plan to start!) so having an emergency fund makes sense in the case of job loss. If the economy wasn't complete trash, I'd focus on paying off my student loan, but I can't ignore the investment opportunities for my retirement savings. This is easy and doesn't require a whole drawn out article. 2. Pay off debt before starting an emergency fund. Think about it. If you have huge credit card debt, paying that off should be your priority. If an emergency comes up, well, put it on your credit card. Chances are it won't. And keep plowing away at paying it off. It only makes sense. That is something I've been thinking a lot about lately. Right now savings and paying off debt is priority, but I also my company also contributes 3% to my 401(k) regardless if I contribute or not, so I feel that I am still making a little progress through that. Great article, thanks!